The Asantehene Otumfuo Osei Tutu II, has called on traditional authorities across the country to work in unison with government to enhance the socio-economic wellbeing of their people. Despite the introduction of democratic governance, the Asantehene observed that the chieftaincy institution has since remained the seal of government within the various traditional localities, continuing to play crucial role in the lives of the people. He explained that the role of the chiefs has often included helping to settle disputes, educating people on the proper interpretation and application of customary practices and most importantly assisting them to improve their social economic lives. 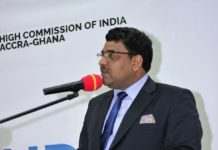 “Due to this firsthand relationship that exist between the chiefs and people we are very much abreast with the needs and aspirations of the masses in Ghana,” he stated. Otumfuo Osei Tutu, was speaking at a ceremony to mark the beginning of ‘Technology Week,’ organized by the Kwame Nkrumah University of Science and Technology (KNUST). Having served as the Chancellor of KNUST since 2006, he was certain that the University will have a crucial role to play in the implementation in his agenda, and promising to work closely with managements to ensure the growth of the university. As part of activities to mark the week he said the KNUST intends to showcase some of the innovative works by staff and students, to demonstrate the mandate of the university. 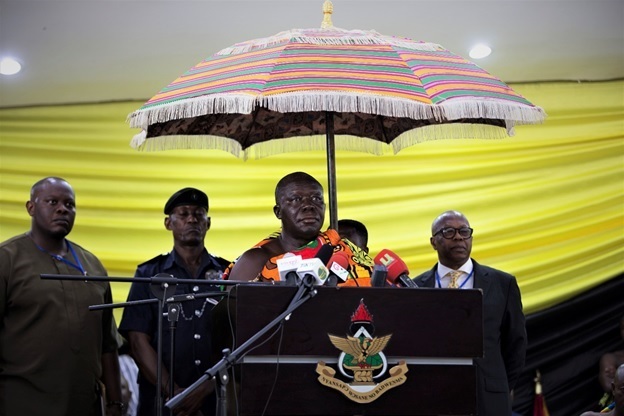 The Chairman of the University Council, Nana Effah-Appenteng, enumerated some of the tremendous successes that the 20 years of Otumfuo Osei Tutu II’s reign has recorded. He encouraged the university staff, students and community to fully participate in all the activities lined up to celebrate the Asantehene by the University.